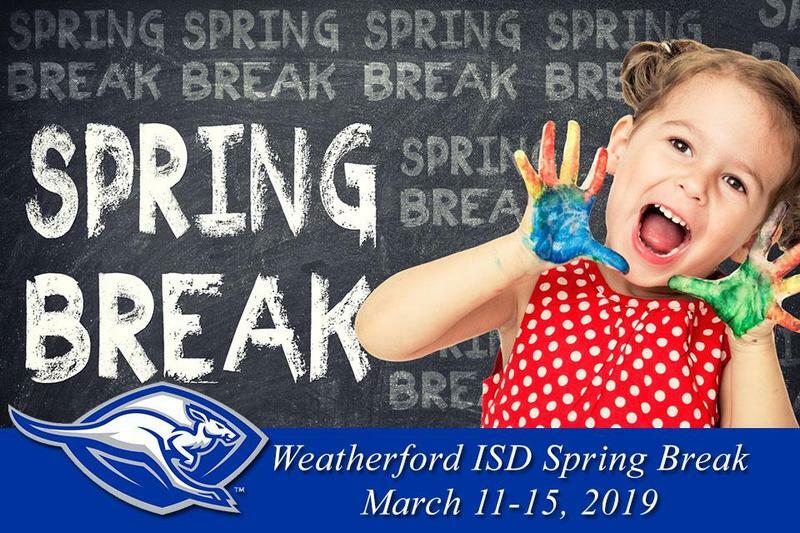 Weatherford ISD campuses and offices will be closed for Spring Break the week of March 11-15, 2019. Begin your child's love of learning in Weatherford ISD! 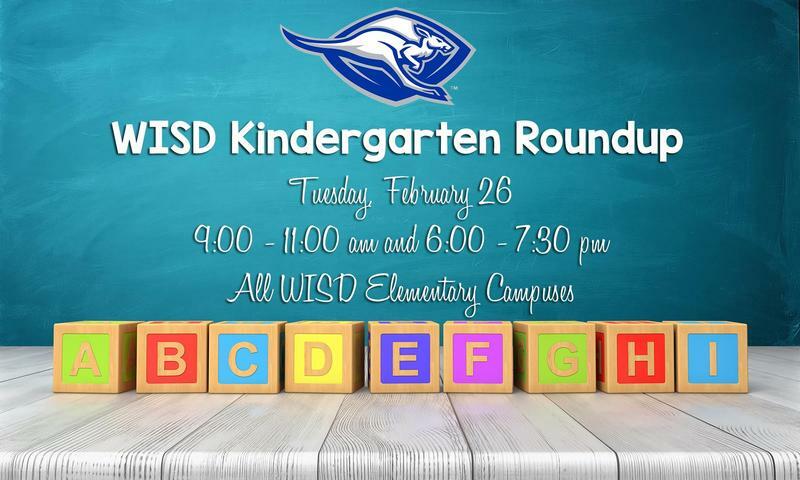 Weatherford ISD elementary campuses will host Kindergarten Roundup on Tuesday, February 26, 2019 from 9:00 am - 11:00 am and 6:00 pm - 7:30 pm. For more information, please click on the headline. We could not be more proud of our Seguin Elementary students, staff, and families! As you know, we evacuated our campus this morning because of a strong sewer gas odor and relocated to the Activity Center at the Ninth Grade campus. The Weatherford ISD Maintenance department responded immediately and determined there was a leak in the sewer line leading to one of the restrooms. That leak emitted sewer gas fumes because of a faulty cap. The Maintenance department staff worked today to repair the faulty cap and also worked with the City of Weatherford to make sure no other leaks were present in the lines. We are planning to hold school at Seguin Elementary on Monday. Your child may have left their personal items in the classroom this morning. Please know that our building is locked and secure. Student may gather their personal items on return to school on Monday. Again, I am so proud of our students, staff, and families. Thank you so much for your support and patience as we worked to provide a safe and healthy environment for our students and staff today. 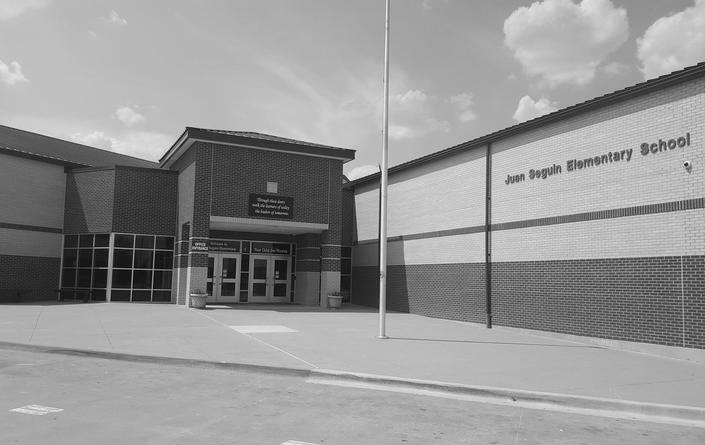 As you may be aware, there was a raw sewage smell this morning at Seguin Elementary. While administrators are working to determine the source of this smell, students and staff are being relocated to the Ninth Grade Center - Activity Center as a precautionary measure. All students will travel to the Activity Center on Weatherford ISD buses. The Activity Center is located near the back of the Ninth Grade Center campus just south of Kangaroo Stadium and adjacent to the baseball parking lot. Beginning at 10 am, parents of Seguin Elementary students may pick them up at the entrance to the Activity Center. In addition, you may contact anyone listed as an emergency contact in our Skyward system to pick up your child. To pick up your child, please park in the baseball parking lot located east of Kangaroo Stadium and walk to the Activity Center. For your child’s safety, identification will be required from those picking up students. Weatherford ISD will provide lunch for students. If students remain at the Ninth Grade Center at the end of the day, we will provide bus transportation for those students who normally ride the bus. The health and safety of our students and staff is our primary concern. We are implementing this relocation as a precaution this morning. Thank you for your patience as we work through this relocation process. 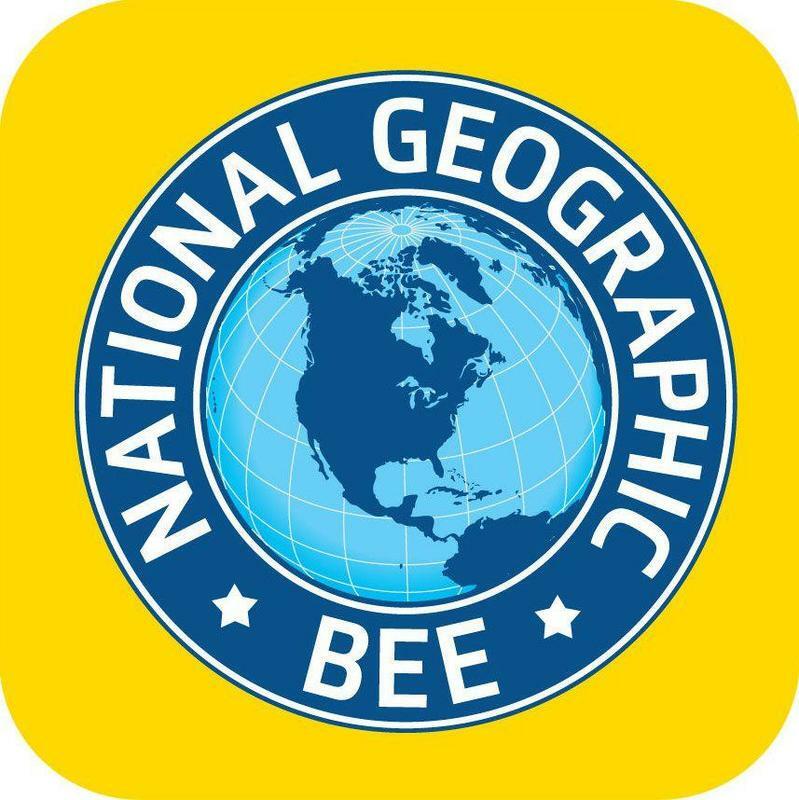 The Geography Bee begins at 9am. Please join us in the Cafetorium as our participants work to see who knows the most about Geography at Seguin.